Often scams will ask for money up front in return for a ‘prize’. Scammers may put a lot of effort into making their letter, website or correspondence look professional to try and fool you into trusting them. 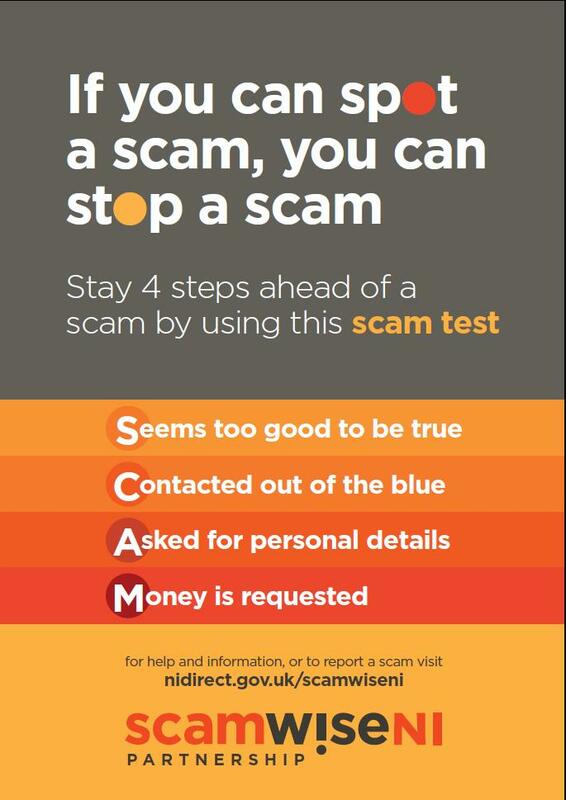 Scammers may try to obtain your bank account, credit card or other personal details. 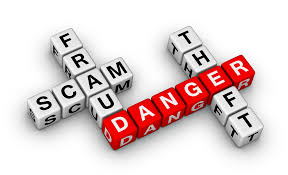 Scammers will often claim there are urgent deadlines for money to be claimed or access to accounts to remain valid. If the contact is from a ‘company’ you have regular interactions with – Is it the usual way they make contact? Does it seem a sensible way for them to make contact? Once you show any interest the Scammers will keep coming back for more. They may also pass your information onto others who will then target you. Never give anyone the PINs for your bank or credit cards. No reputable company will ever ask for this information. Never give out your bank, credit card or personal detailsunless you a certain about the authenticity of the person you are dealing with. Be vigilant for poor grammar or spelling, particularly if the correspondence claims to be from a bank or a well-known retailer. Don’t pay up front in order to ‘release’ prizes or funds. Shred or burn all financial documentation. Make sure your passwords are complex; change them regularly; and don’t use the same password for multiple accounts. 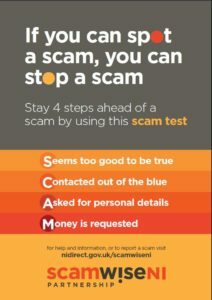 PCSP Project Officers deliver scam awareness presentations throughout the Fermanagh and Omagh district, for further information please contact Fermanagh and Omagh PCSP on 0300 303 1777.